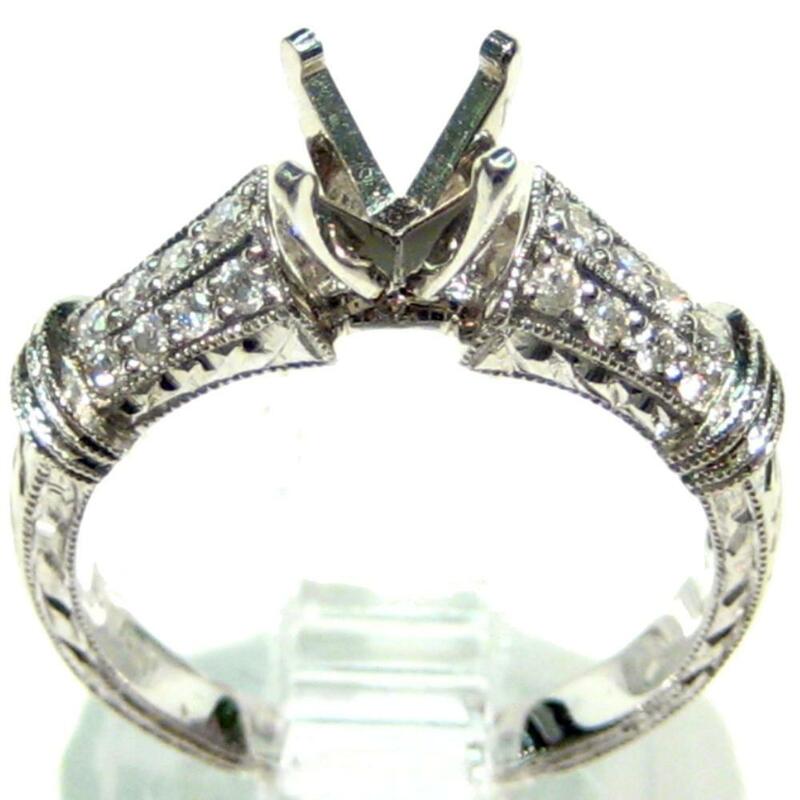 This Antique diamond engagement ring semi mount has 24 round brilliant diamond side stones. The total carat weight is 0.30ctw. 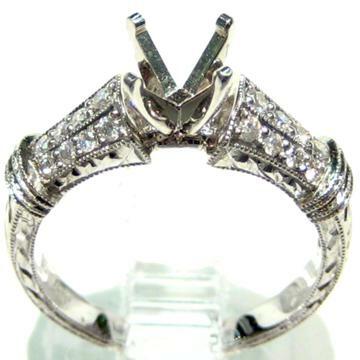 It is in stock in 18k white gold but can be made for you in 14 or 18k white gold, yellow gold, rose gold or platinum.